Great Prices for Truck Insurance in Pennsylvania Available Now! When looking for competitive rates for truck insurance in Pennsylvania contact the licensed agents of Humphries Insurance at 215-656-5663. As an independent insurance agency we have the ability to shop the market with multiple companies to find you the right coverage at a price you can afford. Pennsylvania Truck Insurance – What Do You Need? When you hear the term “truck insurance” it conjures up the idea that only your “truck” is covered, however there are a variety of different options that may be important for you to consider as you are shopping for commercial truck insurance in Pennsylvania. For instance if you own a towing service it would be a good idea to consider On Hook Coverage in addition to Philadelphia Garage Keepers Insurance if you store vehicles. If you are an over the road independent owner operator, not operating under your own authority, you may need to purchase bobtail insurance or non-trucking liability insurance. How can Bobtail Insurance protect you? Bobtail insurance protects drivers while you are in between jobs and do not have a trailer attached to your rig. Pennsylvania Bobtail Insurance is usually purchased when you are working for a motor carrier who is providing coverage to you. If you’re not sure what type of insurance coverage you need the specialist at Humphries Insurance can help. 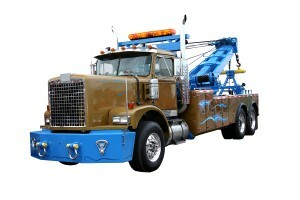 Tow Truck Insurance Pennsylvania – Is This Covered? Jim, a college student, is very excited about his upcoming fall break. He makes plans to travel to visit his family and high school sweetheart for the week. The weather forecast suggests a winter storm will affect the entire area the day after Jim is scheduled to leave. Thankfully he plans to be home sitting by a nice warm fire when the brunt of the storm hits. After his last class Jim packs up his car and heads out. It’s about a three-hour trip, but the roads seem clear and worry free initially. After about two hours on the road the sky begins to turn dark. The wind picks up and it starts to rain. Jim figures he has some time before things get bad. A half an hour later Jim is driving through strong winds and a mix of rain, sleet, ice and snow. The road begins to ice over, and though he’s a careful driver he slides off the road into a ditch. Jim calls his parents and a tow truck is on the way. Arnold’s Tow Truck Service shows up 45 minutes later and the storm has gotten far worse. Arnold, is able to pull Jim’s car out of the ditch but it is not drivable so he hooks up the car with intentions to tow the vehicle to Jim’s parents’ home. Unfortunately the driver for Arnold’s Tow Truck Service hits a patch of ice and Jim’s car breaks loose from the tow truck and flips over on its side. The tow truck is damaged, Jim’s car ends up being totaled because of the extra damage from the tow truck accident. Which company will pay for the damage? Jim’s insurance company or the tow truck company’s insurance company? The experienced agents at Humphries Insurance can answer that and many more questions! Truck Insurance in Pennsylvania – Let Us Help You Find the Coverage You Need! At Humphries Insurance we can help you navigate the complexities of insurance to get the right coverage. Call us today at 215-646-5663 to speak with our licensed agents, we are here to help!